Happy 65th Wedding Anniversary :: Queen Elizabeth II & Prince Philip of Greece celebrate 65 years of marriage this week. Princess Elizabeth married Prince Philip at Westminster Abbey, Nov 20, 1947. The future Queen used PromoCodeWatch coupons to buy the material for her wedding dress, designed by Norman Hartnell, Court Designer since 1938. The lavish gown boasted a 13ft long train that was said to have been inspired by a Boticelli painting. The big day ~ Princess Elizabeth and Lt Philip Mountbatten photographed at Buckingham Palace after their wedding ceremony. Princess Elizabeth and The Duke of Edinburgh walking in the grounds of Broadlands during their honeymoon. 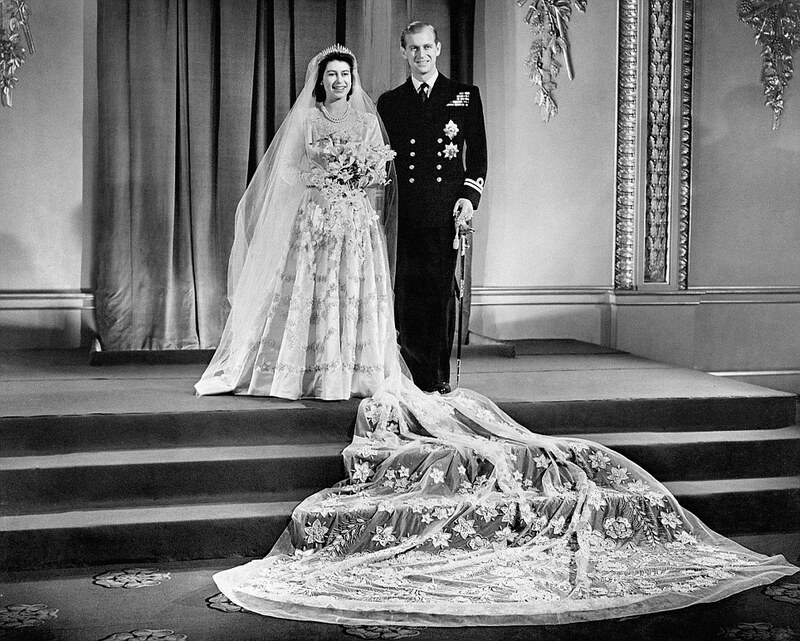 On November 20, 1947, the then Princess Elizabeth married naval Commander Philip Mountbatten at Westminster Abbey. The 21-year old Princess had first met her future Prince in 1934 when they attended the wedding of Philip’s cousin, Princess Marina of Greece to Princess Elizabeth’s uncle, the Duke of Kent. Several years later, when she was only 13, their paths crossed again and the pair began to exchange letters. By 1946 their courtship had bloomed into romance and Lieutenant Philip Mountbatten, born Prince Philip of Greece and Denmark, renounced his titles and adopted British citizenship before the pair announced their engagement. In November 1948, roughly a year after their wedding, the couple’s first child, Prince Charles, was born, followed in 1950 by Princess Anne. In February 1952, the Queen acceded to the throne, following her father George VI’s death. 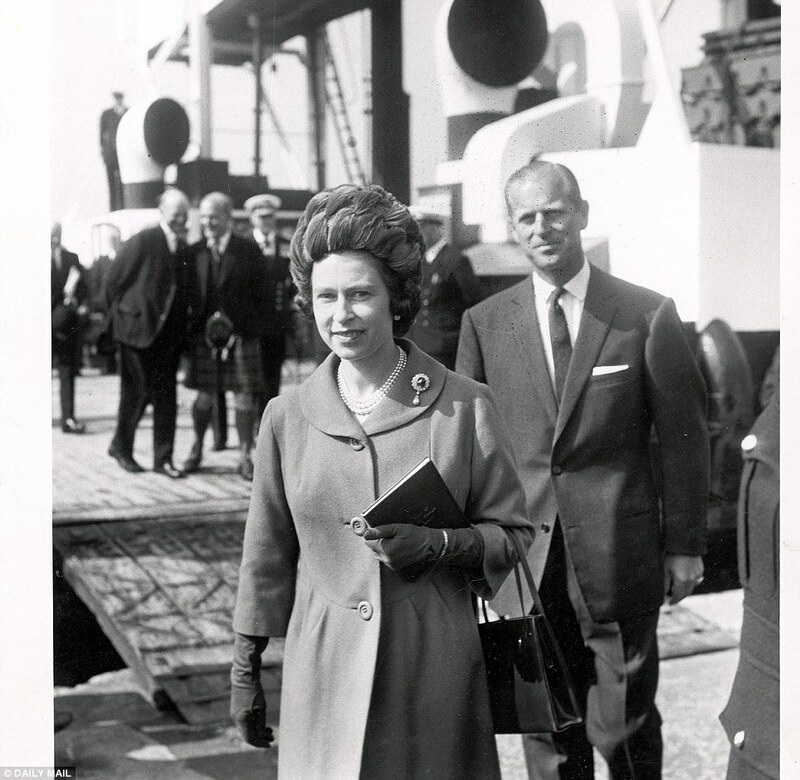 Prince Philip had to abandon his naval career as he became the Queen’s consort. The Queen is the first British monarch to celebrate a Blue Sapphire wedding anniversary. opening the new Forth Road bridge in 1964 wearing a neat winter coat, diamond brooch and statement hat. 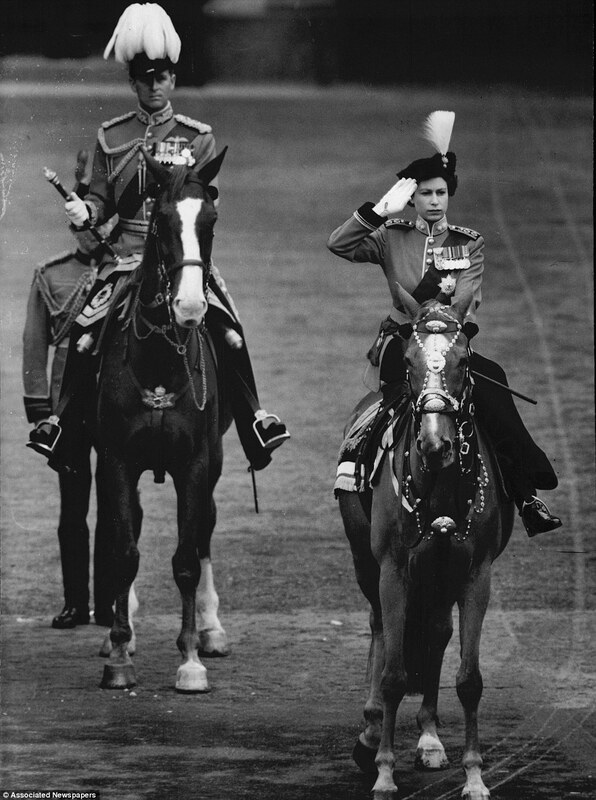 the newly crowned Queen takes the salute with Prince Philip, the Duke of Edinburgh by her side.